Another one of our favorite things to do in the spring is visit the local zoo to see the baby farm animals. The kids love seeing the baby animals, participating in the feeding and learning about life on the farm. 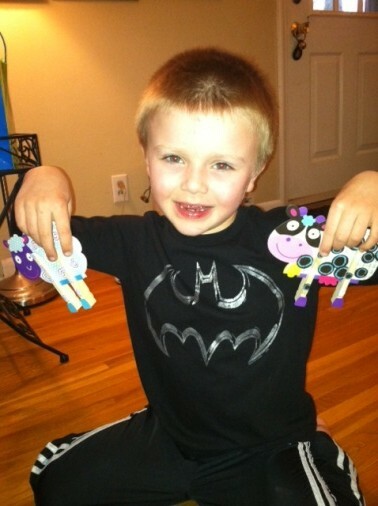 The egg hunt and the visit to see baby farm animals are two signs spring has finally arrived. This year I decided to add farm fun to our annual event. 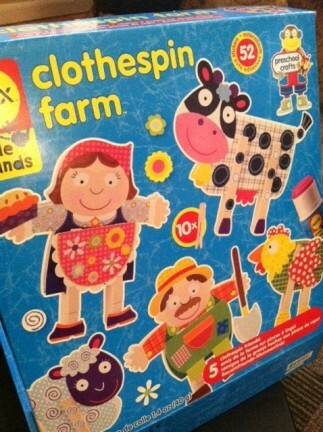 My youngest son and I worked together to create the Clothespin Farm characters by ALEX. We had lots of fun making these charming little characters. They will be hidden in some very tricky spots with a cache of filled eggs. 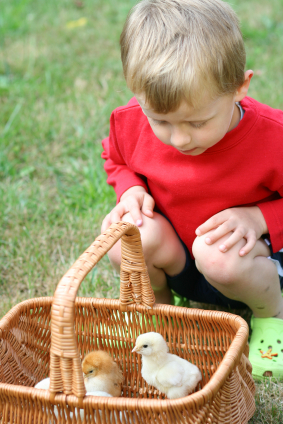 There are so many fun ideas for hosting an egg hunt filled with farm fun. Invite little farmers to wear their best farming duds—jeans, boots and straw hats. Have a variety of colored bandanas on hand to add the finishing touch to their farm finery. Hide the ALEX farm friends in very tricky spots. Leave a cache of filled eggs (enough for each child at the hunt) by the character. Tip: color code eggs by age or gender, if appropriate. Divide kiddos into small groups. Mix older kids with younger kids to search for the characters and collect their eggs. 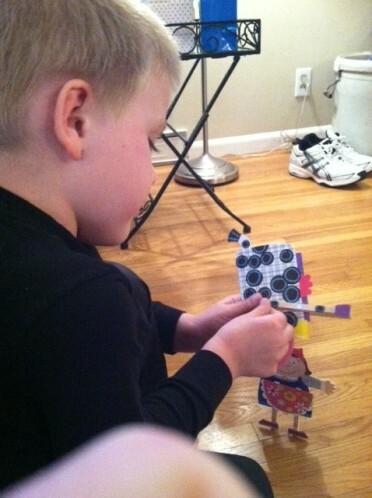 After a delicious brunch keep kids busy with some fun art projects. ALEX Pops Craft 3 Happy Birds and Farm Finger Crayons with paper are easy projects kids can do by themselves or with just a little help from an older child. The Easter Bunny will be stopping by our house on Easter Sunday this year. Some of my favorite basket fillers are by ALEX. I plan on filling my sons’ baskets with ALEX/Kid Concoctions (the perfect combination of science and slime). My daughter will love finding her treats stuffed in a So Cool Satchel.